Hello! 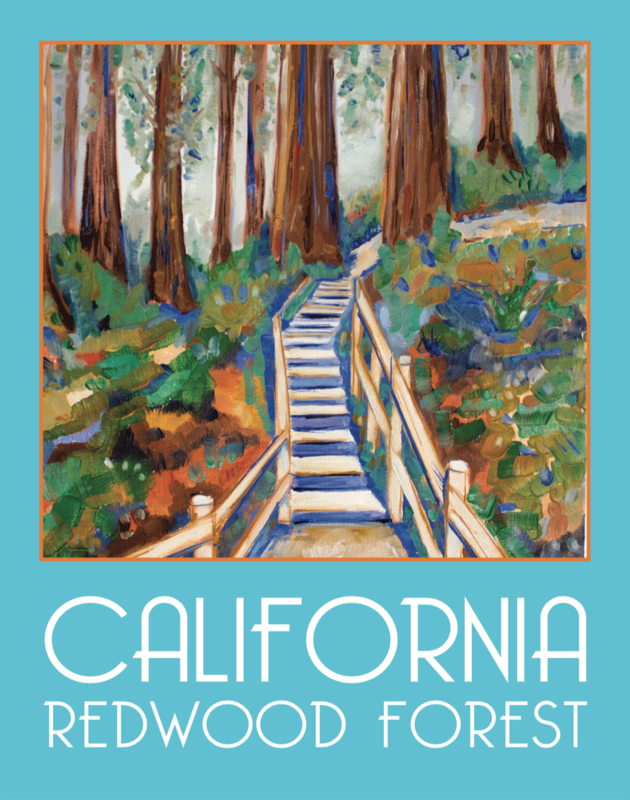 My name is Dana Richardson and I am a contemporary artist based in Santa Cruz, California. I earned a BFA degree in painting and video from School of the Art Institute of Chicago. 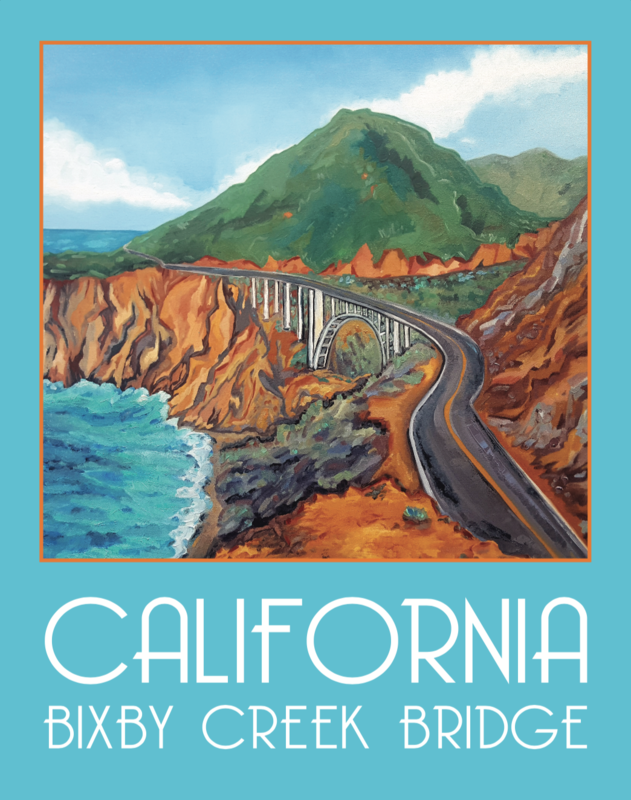 My California Posters feature my original oil paintings of iconic California landscapes. 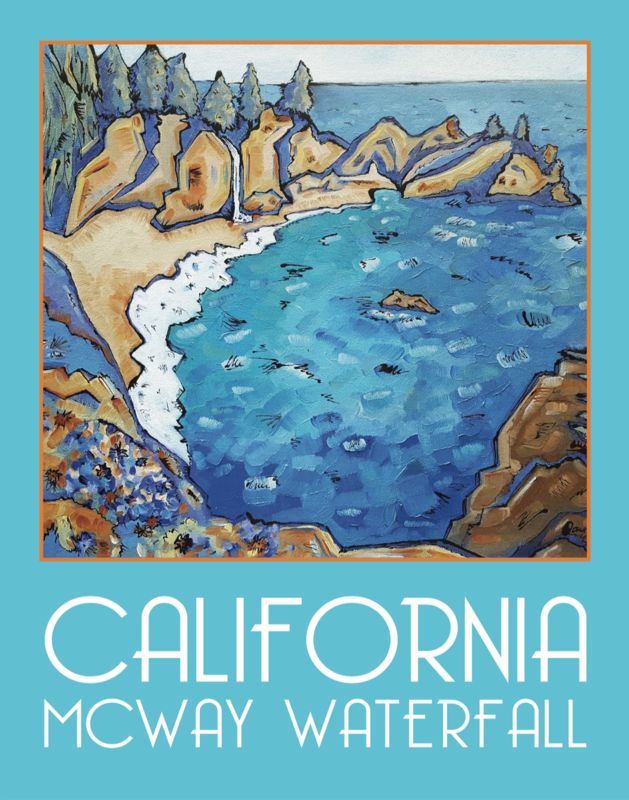 My collection of California Posters are best sellers at galleries and home decor boutiques from Los Angeles to San Francisco. 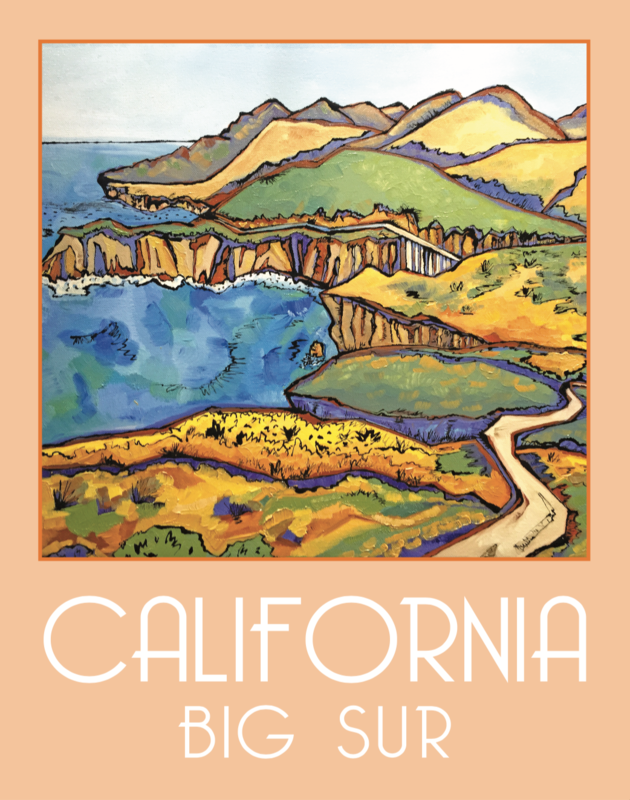 My artwork has exhibited at museum stores including the San Luis Obispo Museum of Art, The Monterey Museum of Art, San Fransisco Museum of Modern Art, and The Museum of Arts and Design NYC. 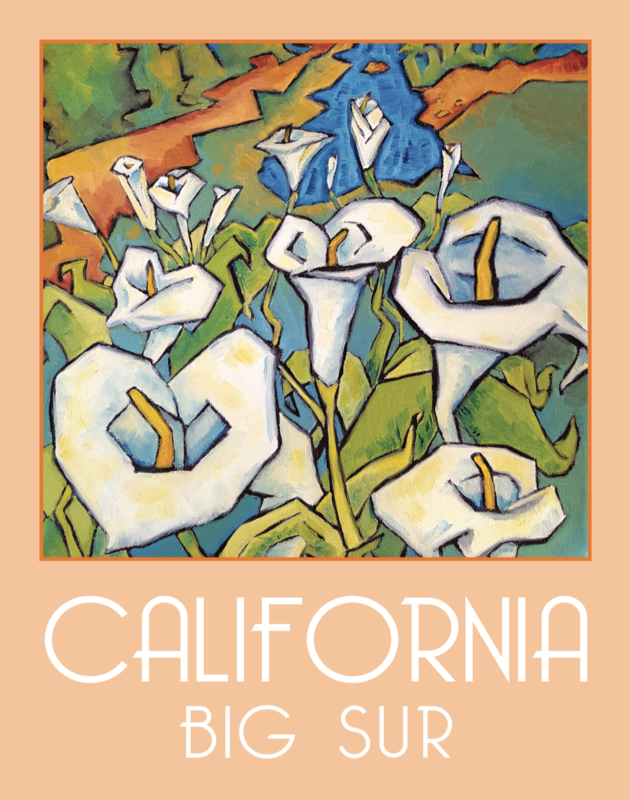 All of my Posters are printed in California, USA with the highest quality plant based inks on heavyweight recycled paper. All of my posters are hand packaged in acid free sealed bags with white matte board backing and are ready to display. 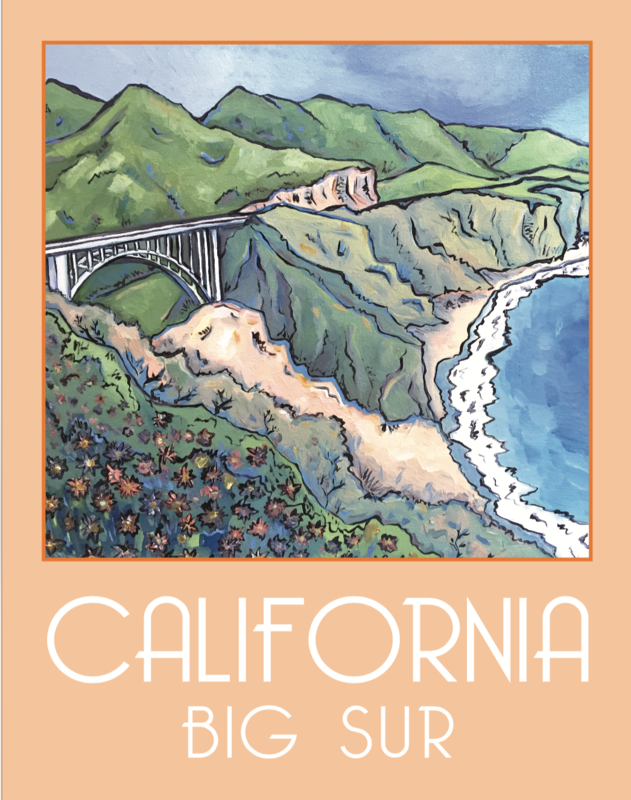 My wholesale price for my 11" x 14" Posters is $15/print. I do not have a minimum order quantity. Monterey Museum of Art (Monterey, CA), San Luis Obispo Museum of Art (San Luis Obispo, CA), The Phoenix Gallery (Big Sur, CA) Post Ranch Inn Mercantile (Big Sur, CA), Ragged Point Inn & Resort (Big Sur, CA), Made in Santa Cruz (Santa Cruz, CA), Artisans Gallery (Santa Cruz, CA), Carmel Classics (Carmel, CA) Carmel Bay Company (Carmel, CA), Local Color (Carmel Valley, CA), Under the Sea Gallery (Morro Bay, CA).